SGSF315MF - SG Audio Visual SF Series 3.15m wide Matte White Flexible Front Projection Fabric - by the linear metre. 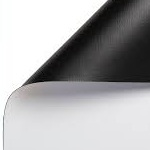 SG Audio Visual SF Series 3.15m wide Matte White Flexible Front Projection Fabric - by the linear metre. 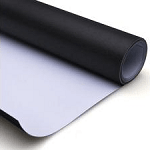 This is flexible projection screen fabric as used in fastfold screens which allows a small amount of stretching for tensioning.This fabric is 3.15m wide and is matte white with a black lightproof backing. Fabric is cut to the length required in metres. Please note that this fabric is not edged and you will need to edge it before attaching to a frame. The fabric will be folded for shipment and some creasing will occur. This is normal and correct tensioning will remove these creases.